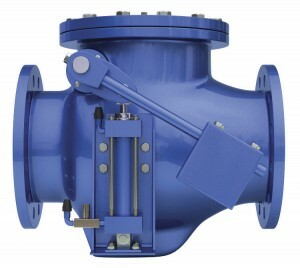 All APCO Swing Check Valves (CVS-6000/6000A, CVS-250/250A and CVS-EDV) are used to prevent the back flow of fluid by closing before flow reversal, thereby preventing slam and water hammer. 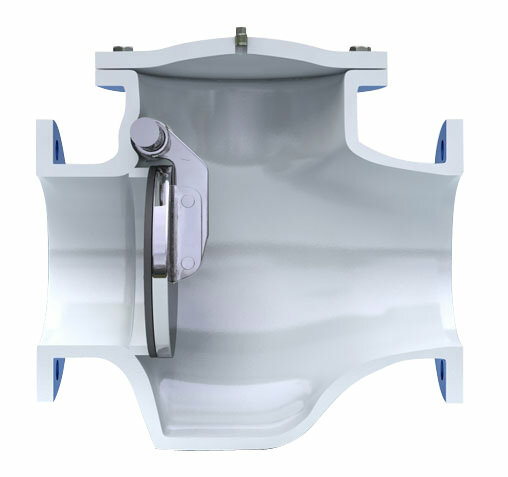 APCO Swing Check Valves have been successfully installed in clean and dirty applications including sewage treatment, water treatment, water distribution, industrial water and wastewater services. The designs meet or exceed the current revision of AWWA standard C508. APCO CVS-6000/6000A Valves available in sizes 2-66” (50-1700mm), can be rated up to 640 psi CWP (4400 kPa) and are available with ANSI Class 125/150 or Class 250/300 flanges. Constructed with a heavy ductile iron body. Closure control devices include Air Cushioned Cylinder, Oil Controlled Cylinder, Bottom Mounted Buffer, Lever & Spring and Lever & Weight. In addition, the CVS-6000/6000A may be ordered as convertible model that allows field conversion of the closure device. 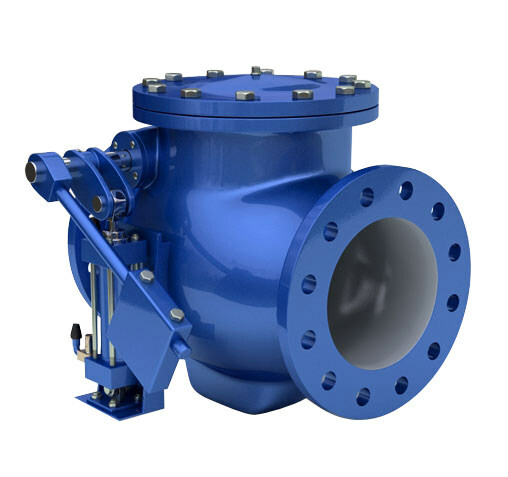 APCO CVS-250/250A Valves available in sizes 2-42” (50-1100mm), are rated to 250 psi CWP (1725 kPa) and are available with ANSI Class 125/150 flanges. Constructed with a heavy cast or ductile iron body. Closure control devices include Air Cushioned Cylinder, Lever & Spring and Lever & Weight. APCO CVS-EDV Valves available in sizes 3-30” (80-750mm), are rated to 250 psi CWP (1725 kPa) and are available with ANSI Class 125/150 flanges. They are constructed of NSF epoxy lined and coated 12 mil Dry Film Thickness (DTF) ductile iron bodies and covers. Closure control devices include Air Cushioned Cylinder, Lever & Spring and Lever & Weight.